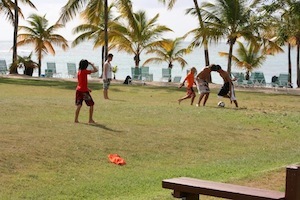 The Buccaneer St Croix Resort is one of my family's all-time favorite places to go on the island. We are a big family of all different ages, and the Buccaneer offers something for everyone! 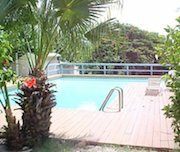 Although my family has a house on the island, it can get a little crowded with so many people, so sometimes my cousins choose to stay at a hotel... and they always pick the Buccaneer Resort St Croix! 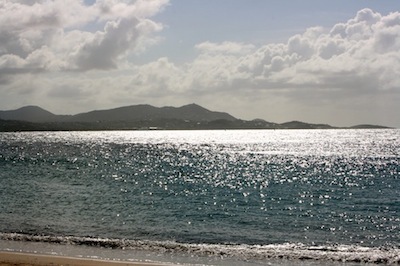 You can also get to Shoys Beach from the Buccaneer which is one of the best St Croix beaches on the island! You enter in through the Buccaneer Hotel’s entrance, and then take a right into the Shoys subdivision. You make your way through the sea-grape trees and voila! - beautiful Shoys Beach. The sandy and grassy bottom make it the perfect swimming beach. 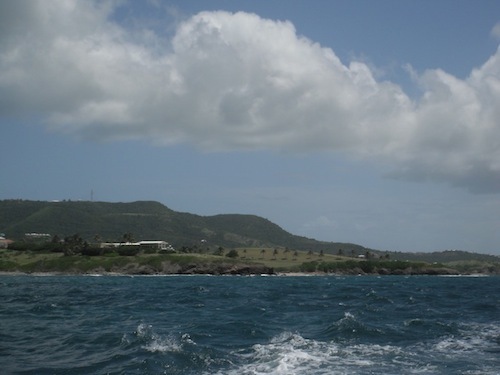 The Buccaneer St Croix offers a bunch of great watersports and other fun St Croix activities. 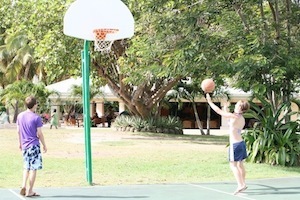 There is even a small basketball court and soccer field right by the beach so you can play a game, work up a sweat, and then go jump right in the ocean! The beach-side restaurant (called The Mermaid) is really good for some casual, yummy food when you want a break from the sun. But the Buccaneer Resort St Croix also has really nice first-class restaurants if you're looking for a fancier dining experience. The Terrace Restaurant has some of the best cuisine on the entire island! This is my Grandma's favorite restaurant. The food is delicious and the views of St Croix can't be beat. The Terrace Restaurant sits up on a hill so you can look out over the Caribbean Sea and the Christiansted Harbor. It's beautiful at night when the lights are sparkling over the water! We go to the Terrace Restaurant for dinner at least once everytime we are in St Croix. It's such a special and relaxing experience, and the food is divine!